Show your guests your undying love with this customisable wedding sticker which can be applied to any hard surface, indoor or outdoor! 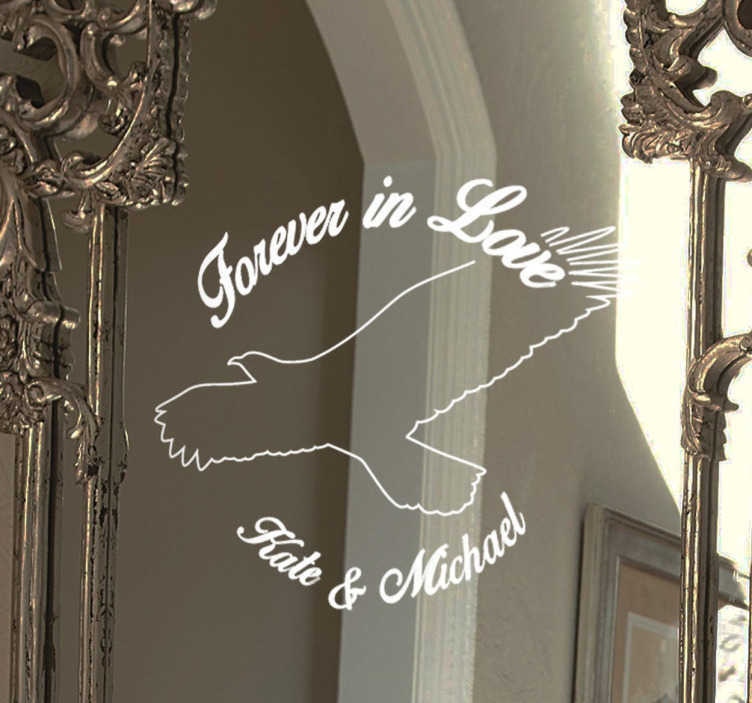 Featuring the outline of a soaring bird and the text "forever in love" and the names of the happy couple, this decorative vinyl makes for the perfect gift! Remember to enter the names of your choice into the text box!